breaks all the rules of traditional entertainment, mythical world of Vikings and Dragons. It is Chinese dubbing for this show . One child at or under 1.2m will be admitted freely but should be accompanied by one adult who buy Family Package 280(280*2), 380(380*2), 480(480*2), 880(880*2) tickets. Fire-breathing dragons from DreamWorks' 2010 film How to Train Your Dragon will come to life and soar over the newly built theater adjacent to the Birds Nest, otherwise known as the National Stadium, this summer. 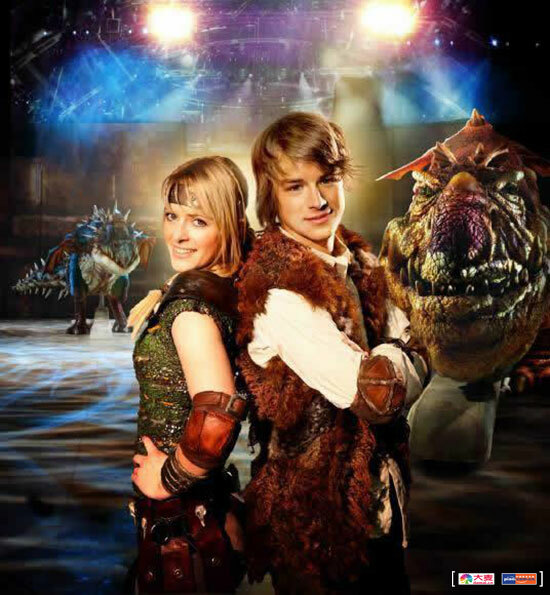 DreamWorks' How to Train Your Dragon Live Spectacular, a show inspired by the movie, is expected hold four to eight performances each week starting in July. 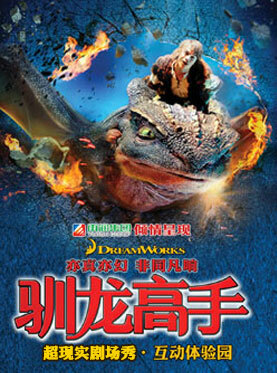 The audio-visual show, created by DreamWorks Animation, is a live event featuring more than a dozen life-sized dragons, some with wingspans of up to 14 meters. Nominated for two Academy Awards, the 2010 blockbuster How to Train Your Dragon grossed nearly $500 million at the global box-office and was among the top 10 highest-grossing films of that year. It was then adapted for an arena show, which has toured Australia, New Zealand, the United States and Canada. From DreamWorks, the studio that brought you the blockbuster hits Shrek and Madagascar - along with Global Creatures, the creators of the phenomenon Walking With Dinosaurs - comes a never-before-seen live experience that your family will never forget. 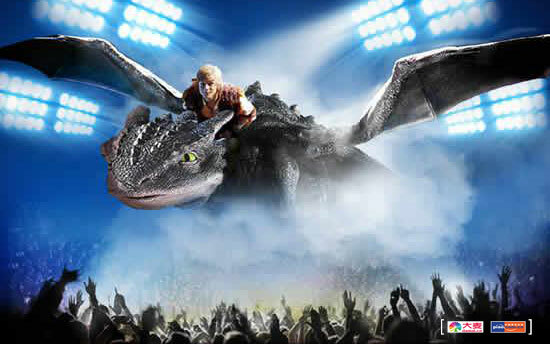 Enter the legendary world of HOW TO TRAIN YOUR DRAGON LIVE SPECTACULAR, where dragons with 40 foot wingspans fly and breathe fire. This critically acclaimed live production rolls epic adventure, world class storytelling, humor and technological innovation into an original captivating story based on the Academy Award nominated film. This must-see arena spectacle breaks all the rules of traditional entertainment, immersing audiences into a magical and mythical world of Vikings and Dragons. In the far-away land of Berk, a young Viking named Hiccup struggles to find his place in the world. 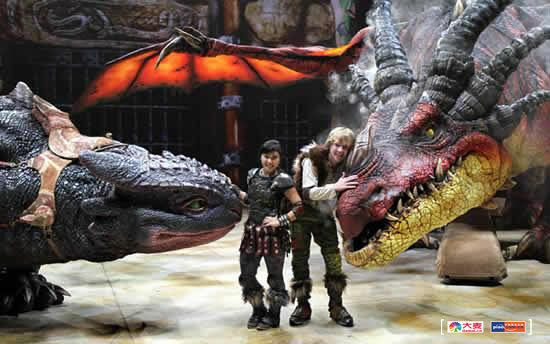 While his father and classmates only seem to care about fighting Dragons, Hiccup doesn’t quite fit in. 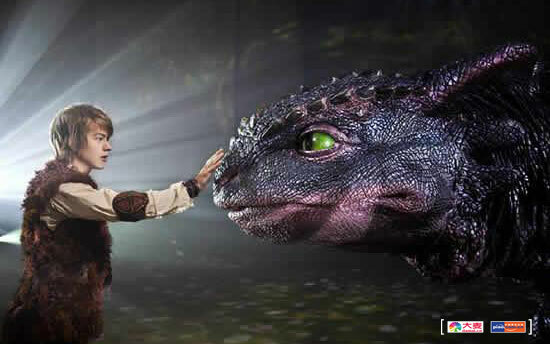 One fateful day, Hiccup befriends an injured Dragon that he names Toothless. Together, Hiccup and Toothless establish a high-flying friendship that will change them forever – uniting Vikings and Dragons in a spectacular battle to save both their worlds. The uplifting story of the DreamWorks Academy Award® nominated film and the never-before-seen technological wonders of Global Creatures combine to bring you a live event unlike anything you’ve ever experienced. 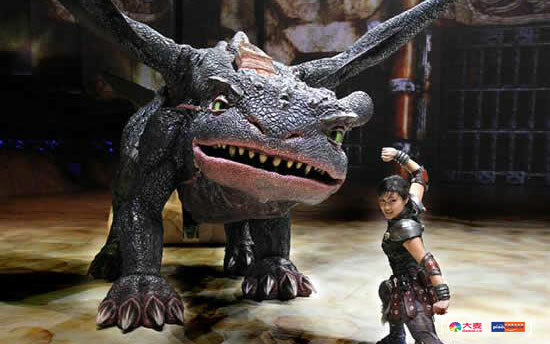 A dedicated team has created lifelike dragons that walk, run, fly and breathe fire, in addition to displaying facial expressions and an amazingly complex range of movement.